Scale your business by getting a website over internet. There will be lots of products, sales, clients, and many more great opportunities to scale up your business reach. But how can you prepare your business scale up with you online? 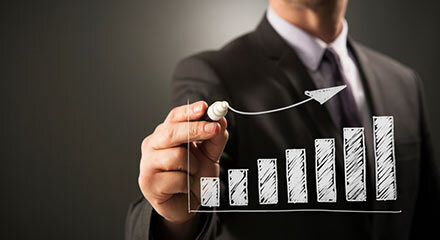 Get Ready, you can prepare your business for times of scale up by developing a website equipped to grow with you by preparing for traffic spikes. Start preparing your business for scale up with the brand level. A brand is your clients’s view of your business based on your content, design, and message. By understanding what it means to your current client’s, you can create a meaningful and lasting connection. Preparing scale up includes knowing where you’re headed, being fluid with what changes can or cannot make, and what consistent elements need to be incorporated no matter where you business scale up. Getting know, where your company is standing, you can take advantage of your niche. Understand where your competitive advantage and skills is and you need to improve it. By knowing you want to be the best at printing, versus the best at copywriting and you can position your skills and grow in a different direction. Brand fluidity means letting your messaging grow with your customers to remain relevant. Your core messaging and promise may remain the same, but how you deliver new capabilities, and additional products or services will change. Make sure your have maintained your consistency among all of the places customers come into contact with your brand, from packaging to your site and more. Building a website without considering that where you might scale up your business. Consider if you’re going to grow into e-commerce, become national, or even expand internationally. If you want to have a blog or another type of capability in your site, you’ll want to build it this way from the beginning. Do you want to manage it? Who will manage it you or someone else ? Do you need a custom site? By considering the types of growth you may experience in your business, it will help you plan to make an investment in the right website platform, rather than beginning on one and then having to transfer to another. Your website will need to reflect your brand. When creating or changing it, make sure it reflects your personality and message. By choosing a platform you can grow with, you ensure consistency as you scale. By choosing a website platform plan, you are at an advantage to purchase for the year. You can get a price break of up to 25% by paying yearly instead of monthly. Be sure of which platform you choose, you want to make sure you can stick with it for at least a year. Sometimes there can be unexpected traffic to your website. Then you can get various option to avoid the website crash as following ways. While traffic is to be expected, make sure to plan your site and hosting for spikes in traffic . Hence the visitors don’t cause your site to crash. After you host your WordPress blog site. Tracking user engagement is one of the most important point to cover because it helps you strategically plan for site’s growth.For this purpose, using Google Analytics is most popular. The best way to know your target audience is through your traffic stats, and this is what Google Analytics provide and WITHOUT ANY COST.In this article, we will show you how to install Google Analytics (step by step) on your WordPress blog and how to track user engagement with it. Next articleReasons that illuminate the necessity to perform a Website Backup.